There is no built-in 'wait' command. Note: many other variants exist - just find one that suits your design. There's also the question: Why do you want to wait? 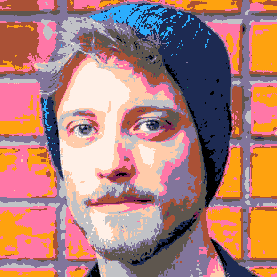 In a "game loop" pattern, like pico-8 uses, waiting the way you seem to want would take away control from the game loop, which would mean that the entire game would simply hang/freeze for a few seconds. That doesn't sound very useful. Try to think about what you want waiting to actually do, and then try to reframe that in a "game loop" model. @freds72 Thanks, I'll make sure to use that. @tobiasvl In console games, typically they fade in and out a logo with an amount of time. That's what I was trying to do. Also, it would help with animation. Fade/animation is just using the mode_t counter to switch palette, move things on screen. So PICO basically makes calls work less if they aren't in the correct function? @BGelais Ooh, that's cool too! No - this is just to avoid your code being a total mess! What freds72 meant by "throttling" was just that if you do too much CPU work each frame (ie. 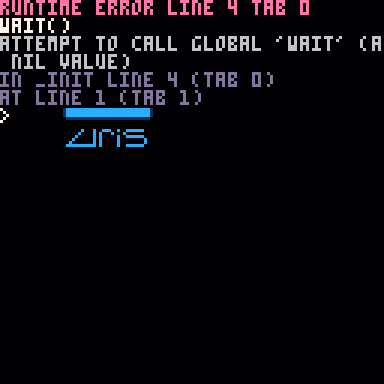 each callback of _draw and _update), PICO-8 will "drop frames"; it will skip a _draw() call to catch up. If you're just doing graphics stuff in _draw, then no harm, it will just not be drawn for that frame. (This is what usually happens if a game you're playing "lags" or "stutters" when FPS drops.) However, if you're doing actual game logic in _draw, then your game will behave weirdly and stuff will go out of sync. 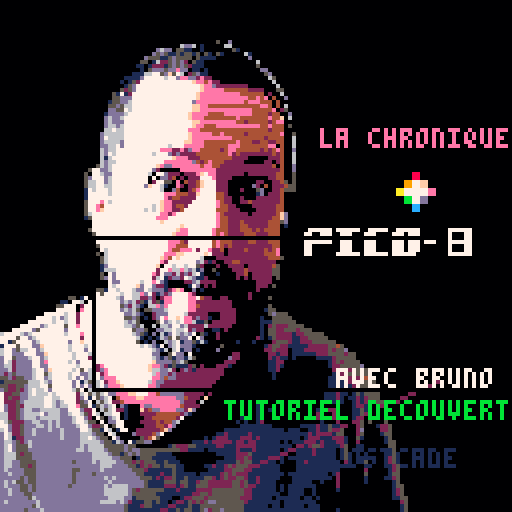 If I recall correctly, when Pico-8's CPU is at maximum usage, it will instead call _draw() every other frame to keep up, which can cause problems if you have important stuff in _draw() that needs to happen every frame. Edit: Whoops! I didn't see Tobias's explanation, so this is kinda redundant. It's okay! All of you are helping which, uh... helps.